Click Here to Sign Up for Joanne's Newsletter! Joanne Williams Photo Tours and Safaris have led both novice and experienced photo enthusiasts into some of the most exotic and breathtaking locations in the world. From the wilds of an African photo safari to the pristine Islands of the Galapagos, along with many other exciting and adventurous photo destinations, Joanne has personally taken her clients to places most people only dream about. Unlike other photo tour companies, Joanne Williams has prided herself on specializing in small tour groups that she personally leads. With this one-on-one personalized approach, Joanne is able to share her wealth of knowledge in a small group setting. The Madagascar photo tour takes place on one of the most mysterious islands in the world. The wildlife that dwells here is so unique, that much of it exists nowhere else on earth. Madagascar is the world’s fourth largest island, and home to more than 10,000 native plants, of which, 90% are found nowhere else on earth. The photographic opportunities here are truly abundant, and give you plenty of chances at those once in a lifetime shots! You'll cross paths with the many species of lemurs, spectacular birds, and some of the most unique insects on the planet. A photographic tour of the Pantanal is one of the most productive ways any photographer could spend their time! With around 650 species of birds and a wide variety of animals, the Pantanal is truly a one of a kind wonder. At 75,000 square miles, the Pantanal is 10 times the size of the Everglades, and contains more flora & fauna than all of the Americas combined! The Pantanals annual floods are due to tropical rains, which create a giant nursery for aquatic life, and ample photographic opportunities as unique as the species that call this magical place home! A photographic tour of the dark continent of Africa is at the top of the list of many photographers. The Joanne Williams Africa Photo Safari tour is exceptional, in that it has been honed over many years to provide participants with plenty of room to enjoy the wildlife in a comfortable setting with an itinerary allowing for plenty of time to capture spectacular shots! We have personally trained drivers that understand what it takes to get great shots, and with only 2 people per van, you have all the room you need for all of your equipment, without being crammed together. 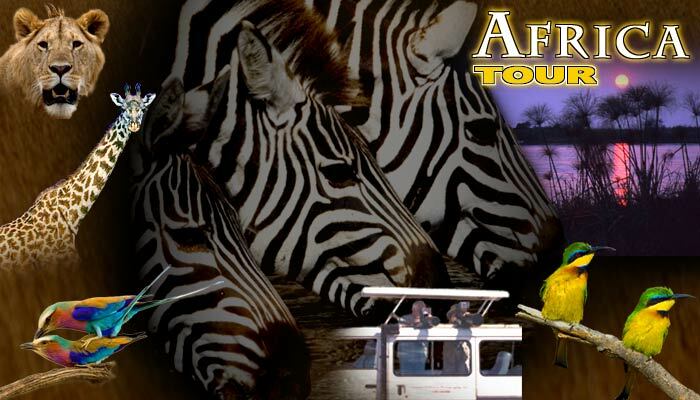 If you've ever dreamed of photographing the splendor of Africa, this is the tour for you. Many people have taken an African safari. Many people have experienced a photographic tour of the great plains filled with roaming animals. Many have photographed the ‘Big Five’, but few have had the privilege of doing so on a road less traveled…..the road to Namibia. Your photographic tour of Namibia will leave you wondering why you had never considered this place of wonder as a photographic destination of the highest caliber. 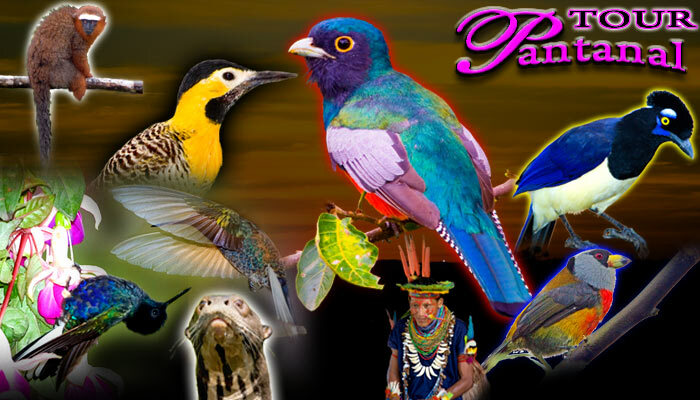 624 species of birds know the secret, and are eager to share it with you! 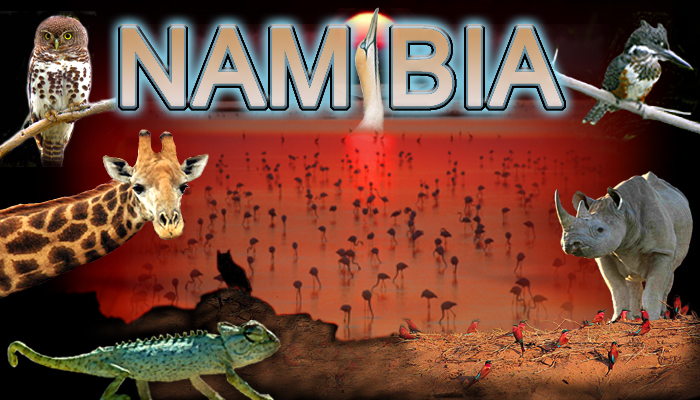 Pack your photography equipment and plenty of memory as you explore the animals and wonders of Namibia! 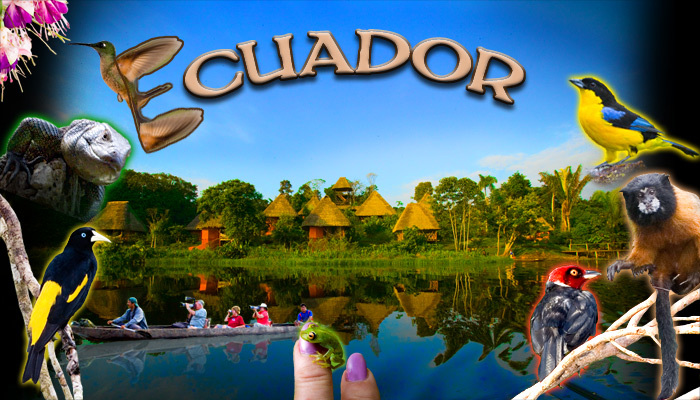 The photographic tour in Ecuador takes us to the beautiful Napo Wildlife Center Reserve located in the Yasuni National Park. We will cruise the river in large canopy covered canoes and then we’ll be paddled to the entrance of the NWC Reserve in dugout canoes, photographing all the rainforest critters along the way. There is some extraordinary wildlife that calls this 82 square mile reserve home, and the proceeds from this lodge go directly to its conservation! Perch yourself atop the 12-story canopy tower built into a towering Ceiba tree and enjoy the views normally reserved for the birds and monkeys of this tropical paradise. 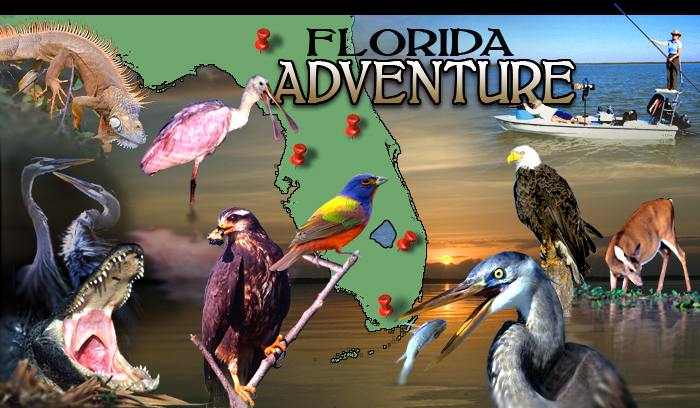 Your “Florida Adventures” (as well as all her tours) are conducted soley by professional wildlife and nature photographer, Joanne Williams , who will share with you her many years of experience and tips on the how-tos of ‘in-the-field’ photography capturing images of the Florida Flora & Fauna as well as beautiful scenics not often seen by the average photographer, tourist, birder or hobbyist. Some of the trips will be ½ day, full-day, over-night and/or three to four day adventures. Some will be aboard her 25 foot pontoon boat, or her uniquely customized-by-joanne Fotoboat. There is a series of special tours coming up called “A Stoll With A Pro” that are personally guided morning and/or afternoon walking photo experiences through such areas as Loxahatchee Wildlife Refuge, Green Cay Wetlands, Wakodahatchee Wetlands, Alligator Farm, Gatorland, Viera Wetlands, Merritt Island, and a couple of the local zoos, gardens, Butterfly World. All are wonderful opportunities to learn and practice your Macro photography skills, as well as use your bigger lenses. The tours on your “Fotoboat Adventures” are unique experiences into locations not often reached by photographers, especially when it is aboard the highly-customized-by-joanne-FOTOBOAT. This little craft with it’s four strategically-placed, heavy-duty Gitzo monopods--each one mounted with its own Wimberley ball head rig--, can sneak into “skinny-waters” drawing as little as 6” of water. The unique ability of the Fotoboat allows us access to nesting, feeding, courting & mating behaviors of many of Florida’s birds, such as the elusive Snail Kites, Wood Storks, Eagles, as well as being up close and personal to many of the wading species like Limpkins, Sandhill Cranes, Skimmers, and Stilts . Otters, raccoons, deer and other mammals often come into our lens’s view while feeding, or bathing at the waters’ edge. Roseate spoonbills nest in mangroves and low-growing trees along shallow waters and are easily accessible as the boat’s electric motor silently sneaks up on them. 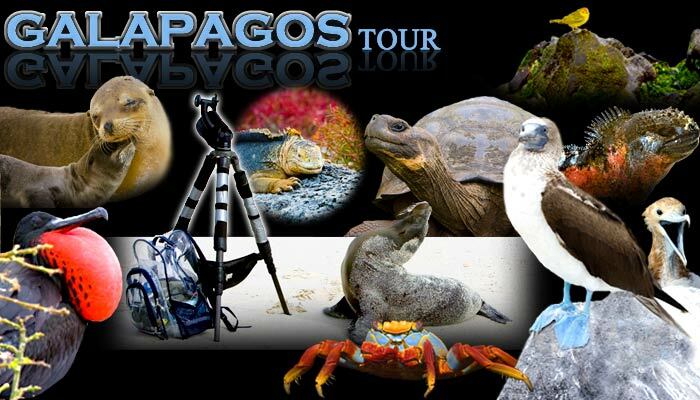 The Galapagos Island is often considered one of the top photographic hot spots in all the world. With a wide variety of amazing creatures to focus on, this trip proves time and time again to be a favorite for seasoned and beginner photographers alike. Getting up close and personal with some of the wildlife here allows everyone the ability to leave this place with a portfolio of spectacular photographs, and memories that will last a lifetime. Come see the amazing animals that welcome you to this truly breathtaking island as it rises up out of the sea. Your accommodations for this trip include an astonishing catamaran that has to be seen to be believed! Why Take a Joanne Williams Photo Safari? Joanne Williams has had years of experience guiding photography tours and teaching photo workshops….Read Biography portion of website for more information on Joanne’s experience and credentials. Guaranteed photography success to; “point & shooters”, “digiscopers” & the Big SLR users!!! Photograph & personally experience Unique & Exotic locations such as: Africa, Namibia, Madagascar, the largest in-land wetland in the world, The Pantanal in Brazil, the enchanting Galapagos Islands, the rain-forests & cloud forest of Ecuador, and the fascinating and mysterious Florida Everglades and its surrounding areas.